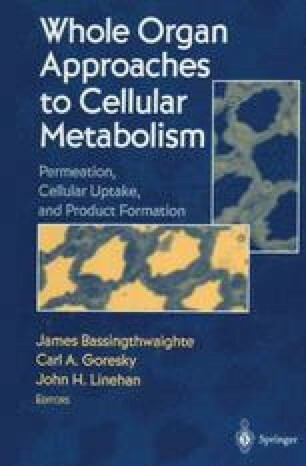 Our current understanding of the molecular, cellular, and physical basis of the barriers and pathways that mediate capillary permeability will be presented in this chapter. Some of the endothelial cell surface proteins involved in the structure and function of specific transendothelial transport pathways will be examined. Many studies utilizing a diversity of experimental approaches including biochemical, morphological, physiological, and theoretical analyses have led to a better understanding of the molecular basis of the interaction of plasma proteins with the endothelium, especially as it relates to those regions that form the critical permselective molecular filters controlling the transendothelial transport of blood molecules. New molecular approaches to investigating capillary permeability are only beginning to identify and characterize the molecular constituents that form or create the main pathways and barriers to molecular transport across vascular endothelium. The emphasis will be on the specific transport proteins of the luminal endothelial cell glycocalyx with a special focus on those proteins associated with noncoated plasmalemmal vesicles or caveolae. Aquaporin and albondin are the two proteins that will be discussed in the greatest detail because of their role in the selective transport of water and albumin, respectively.